Dr. Dan Rath emerged from his slump with some key hits. Welkowitz made an impressive dive in center field which left him dirty and unapproachable. 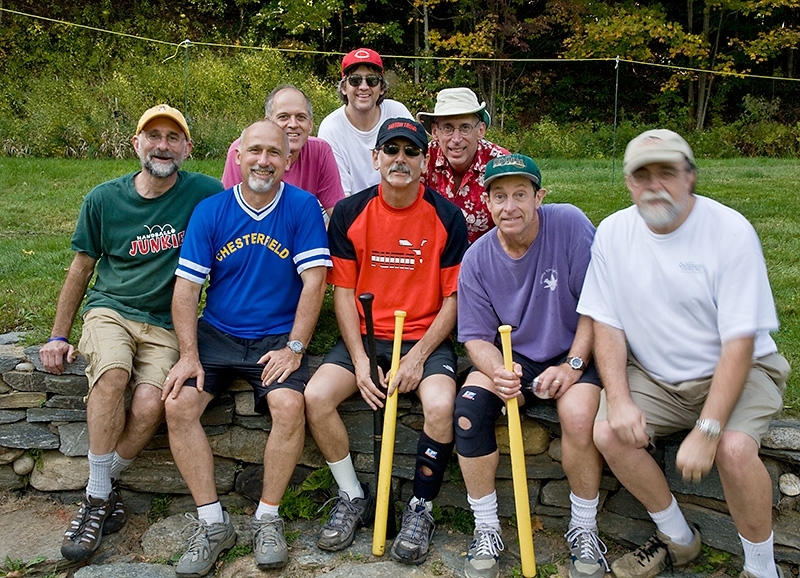 The players (left to right) were Dan Rath, Joe Pumilia, Chris Hardy, Mitch Speaks, Jeremy Hoffman, Larry Welkowitz, Mick Durante, and Jeff Newcomer. Next game we'll post some video! I spoke by phone with parent and author Barbara Coppo about her book, The Boy in The Window: A Journey Through an Unexpected Tragedy. Barbara tells a poignant story about her son, Kenny, and her strong suspicions about the causes of his autism. While Kenny is now 29 years old, Barbara talks about his early life, his adverse reactions to childhood vaccine, and the discovery of his abilities. It is interesting to get a parent's view on the perceived connection between vaccines and autism, despite what appears to be evidence to the contrary. A careful review of this topice may be found on Kathleen Seidel's website, Neurodiversity.com.